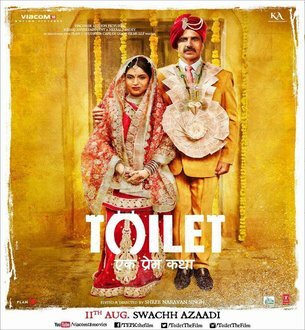 Below are Box Office Collection Report of bollywood film 'Toilet Ek Prem Katha' With his review, budget and total box office and worldwide collection status. 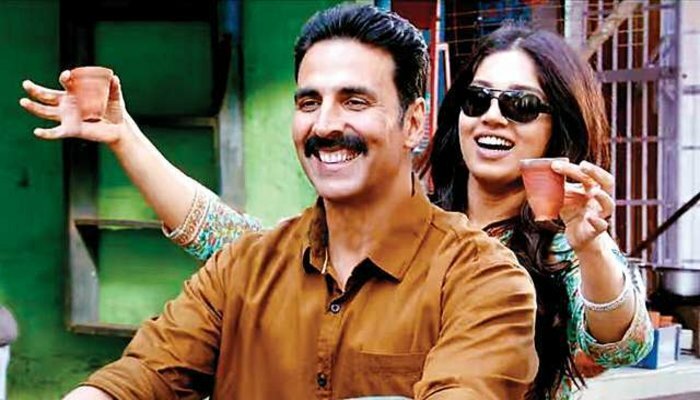 Toilet Ek Prem Katha movie lead star cast is Akshay Kumar, Bhumi Pednekar. Toilet Ek Prem Katha is an indian Social, Comedy, Drama Film of 2017, directed by Shree Narayan Singh & produced by Akshay Kumar, Neeraj Pandey. Storyline:- Go-getter Keshav (Akshay) serenades liberal-thinker Jaya (Bhumi), a woman from his neighbouring village in Uttar Pradesh. They marry but it doesn’t strike Keshav to tell her that his house doesn’t have a toilet. This then becomes the grounds for Jaya to file for a divorce. (1) This is the movie that Every Indians has to see.I think Akshay Kumar is doing something for Society to keep it clean that every one has to follow this. (5) Akshay has delivered yet another superlative performance. He is teh most underrated superstars in India.